After the basecoat, I added some detail to the face, arms and hands with some thinned neon green, gray to the shoes, and white on the details of the sweatsuit. 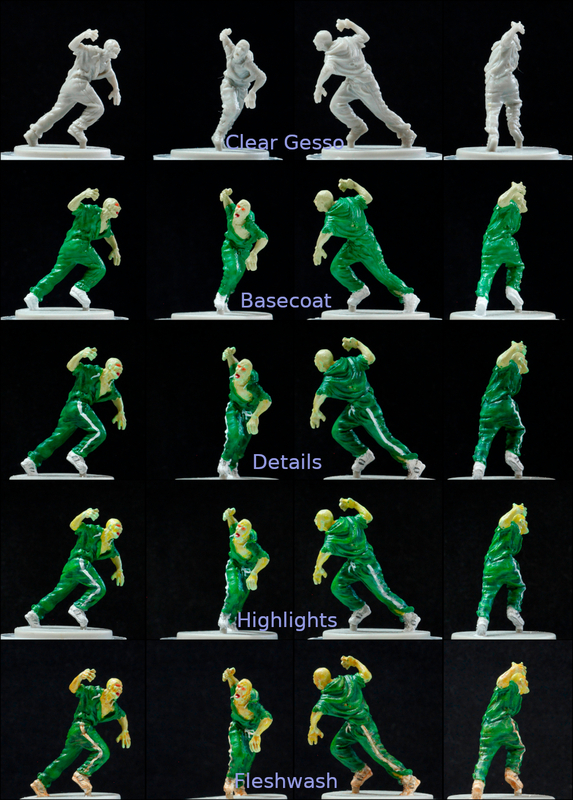 Then I added glaze medium to a darker green and applied in the creases of the sweatsuit. 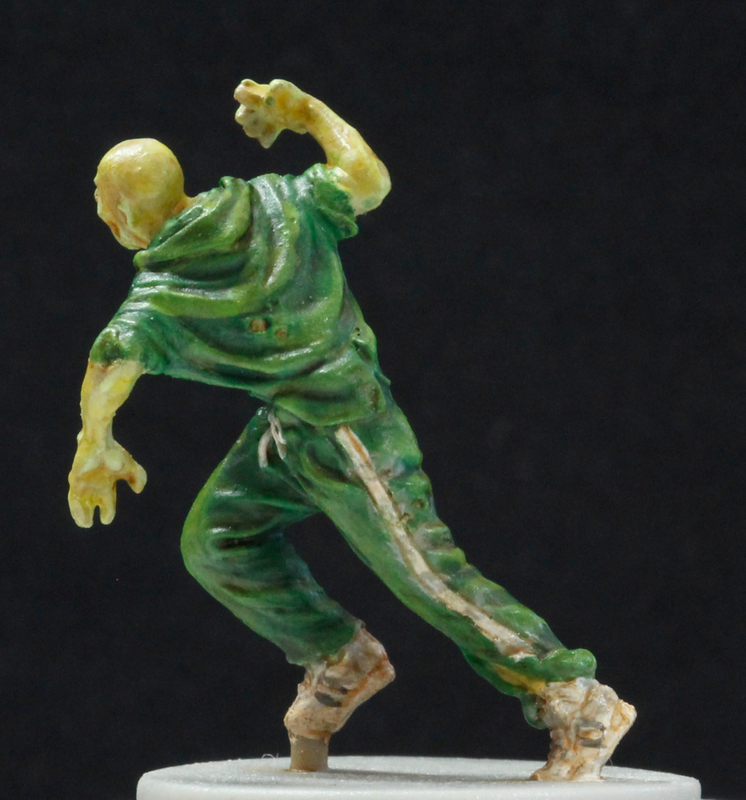 For the highlights, I added some glaze medium to a yellow for the skin, and mixed the basecoat green with some yellow and glaze medium for the ridges of the sweatsuit. Once it was all dry, I applied a fleshwash. I have one more mini in the eight zombies for the game… then if I’m feeling up to it I have those eight figures seven more times (64 minis in all). This entry was posted in 180mm macro lens, about, experimenting, gaming, painting miniatures. Bookmark the permalink.